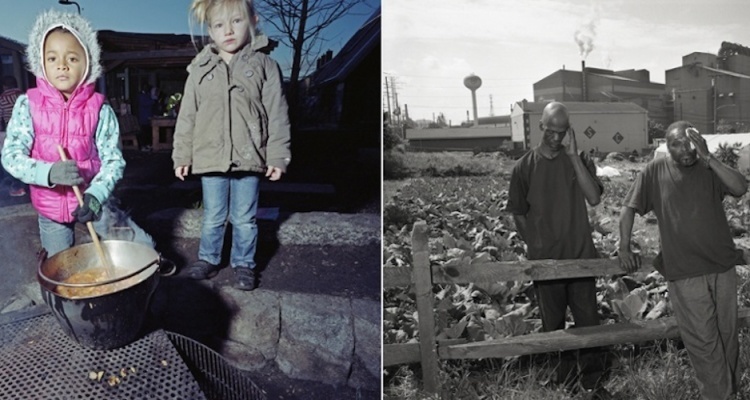 In a stunning new series that focuses on inequality, photographer Mark Neville has chosen to pair photos of London with photos taken in the Pittsburgh suburbs of Sewickley and Braddock. The Guardian reports that the series includes work from Neville’s Here Is London, which was nominated for a Pulitzer Prize. 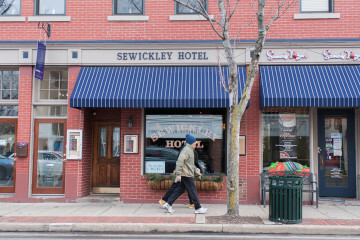 Sewickley and Braddock were chosen for their diversity from one another. The photographs are arranged such that not only are they in poignant contrast with their partnering print of London, but also with the other photos of Pittsburgh. Woodland Hills High School prom (2012) next to Dalston Superstore in Hackney (2011). Photos by Mark Neville. Such subjects include a Woodland Hills High School prom, a night at Rumshakers night club, the Braddock Organic Farm, and the Sewickley Confectionary. The photographs will be on display at the Alan Cristea Gallery in London from November 21st through January 24th, 2015. See all the photographs printed in the The Guardian, here.